Most electric motors, whether AC or DC, fail after time for reasons that may not be electrical in nature. Motors without brushes and commutators such as AC (alternating current) induction motors last the longest because of few moving parts. 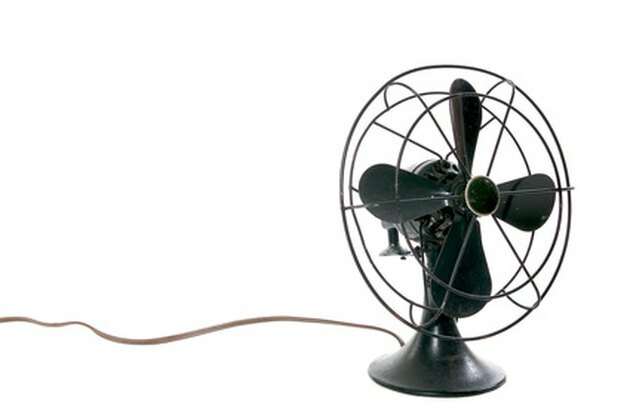 AC and DC brush-type motors, such as those used in vacuum cleaners and power tools, produce high power for short periods and stop working when worn brushes and commutators give out. Checking any type of malfunctioning motor follows a logical progression of steps. 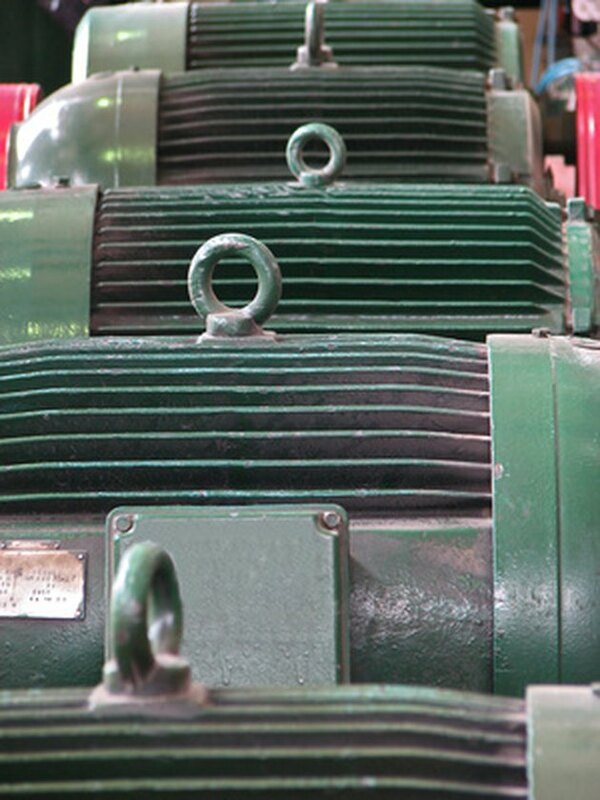 Large industrial motors are checked and overhauled many times. Small fan motors last a long time due to few moving parts. Identify the type of motor and examine its nameplate information. The type of motor will determine the types of tests you will perform to troubleshoot it. Ball bearings in motors can wear out without lubrication. Check for mechanical binding or seized bearings. 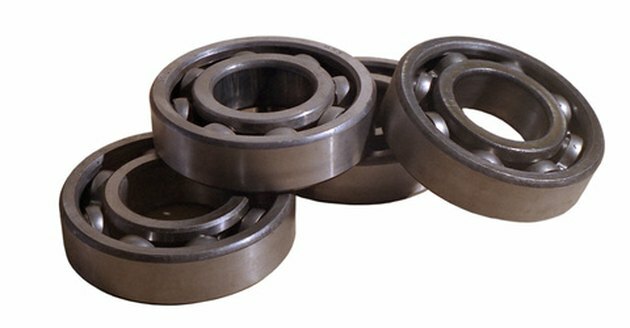 If you feel resistance or hear rasping or scraping sounds when you rotate the shaft by hand, the bearings may be worn or seized. If the motor has sleeve bearings, you may be able to lubricate the sleeve bearings with oil. Look for oil insertion tubes or holes near the bearing holders on either end of a sleeve-bearing motor. Worn ball bearings have a distinctive dry rolling sound and a slightly raspy feel when you try to rotate the shaft. They are usually permanent and will probably need replacement. 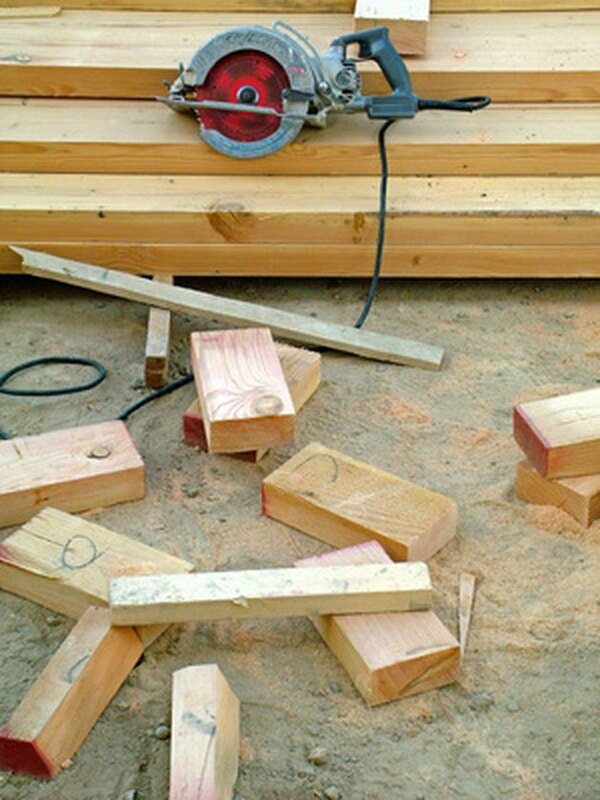 Power saw motors have brushes that wear out. Check for shorts between the power wiring and ground. Select ohms resistance on the multi-meter and set for the 30,000-ohm range. Touch one lead to each motor power lead and the other to the metal motor casing. Any value less than about 0.2 mega ohms is a reason to discard the motor. Test for direct shorts in the motor's power windings in induction (non-brush type) motors. Keep the multi-meter set for 30,000-ohms and touch one test lead to one terminal and the other to another terminal. Each of the sets of windings should read about the same ohms value. Compare the figures to the manufacturer's test specification in the service manual if one is available. Otherwise you will have to trust that if the windings all read about the same, they are functioning correctly. On brush-type motors, inspect the brushes to make sure they are still serviceable. Generally, brush length should be at least twice their width or replace them. Check for shorts or open armature windings by touching one test lead to one commutator (the grooved copper section that contacts the brushes) segment and the other test lead to another segment. Compare each segment with every other segment and look for either open (infinity ohms) or shorted (zero-ohms) armature windings. Either will be cause to discard or rebuild the motor. Examine the relay and contacts on relay-start induction motors. Contacts can be pitted or even completely eroded away from arcing due to repeated starts and stops. Check the starter control box for capacitor-start motors where this function is separate from the motor itself and no malfunctions are evident with the motor body itself. This is the case for the motors on deep-well submersible pumps where the capacitor and starter relay are located away from the submersed motor. Yet these components are vital to the correct operation of the motor and required. Starter boxes should be compared to their published specifications, which appear in their technical manuals. Manuals are available for most motors and start boxes online.